Make it easier for pet lovers to find dog food, cat food and other pet supplies in your pet store display. Pets often have strong preferences for certain treat flavors. 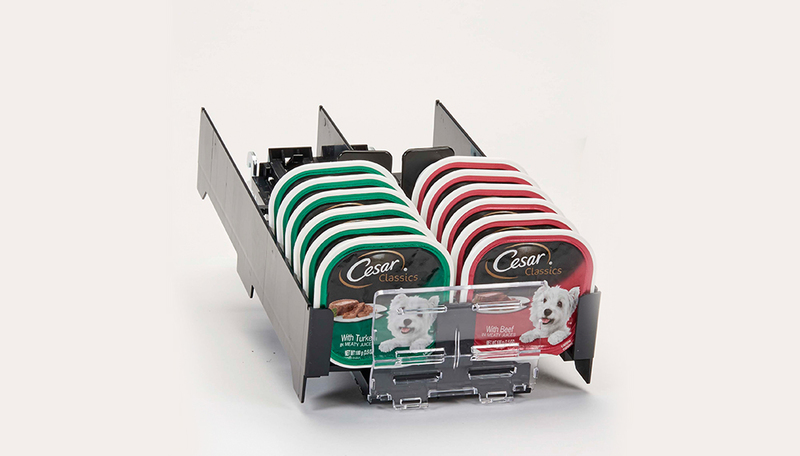 Help their owners find them with an organized Retail Space Solutions shelf solution. 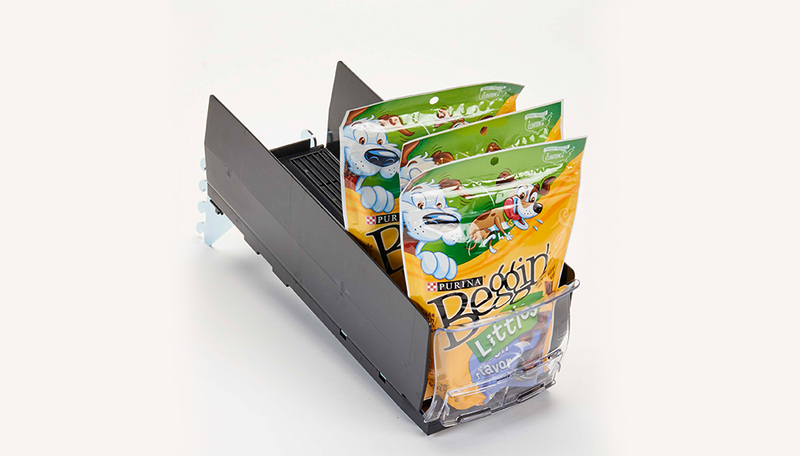 This pet essential can be one of the more difficult categories to keep organized and front-facing — but Retail Space Solutions can help.